I found this week's doorway in Lubec, Maine. It shows the effects of being at the water's edge. Absolutely my kind of door. Lichen is very photogenic. A door with a life, a past, a door that says a lot! being in lubec is like slipping into another time, isn't it? this is a beauty of a doorway. A rrrreally old doorrway, indeed. Great shot, love it! It is a door well worth looking at, again and again. This door has so much life; it is well seasoned. Nicely seen and captured. 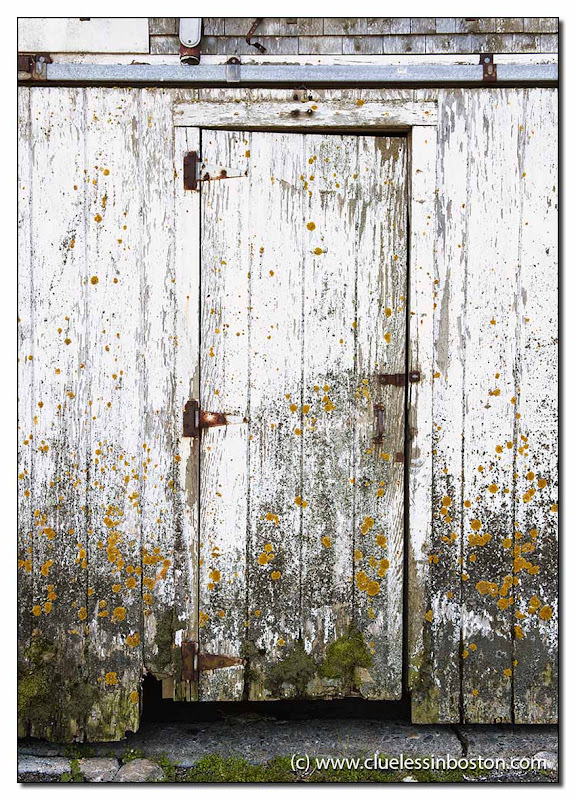 That's nature for you, the old door looks great. Not so good for the wood, but bliss for the lens! !